Is it still a buyer’s market? In this article we will analyze data from 2006-2013 to help provide an insight as to where the market is today, compared to before the recession. 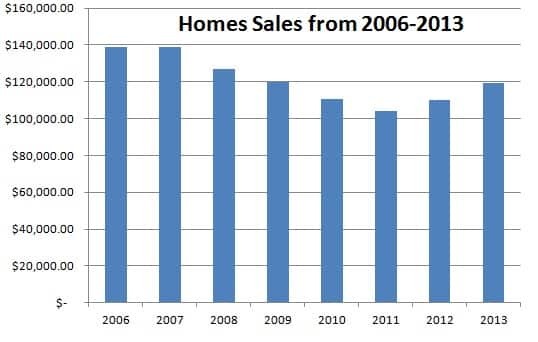 The graph above shows the median home sale price in Rock County, Wisconsin from 2007-2014. In Rock County, there were 140 home sales in April 2014, that is up from 138 in March 2014 and 100 in February 2014. While the number of sales are increasing, so is the average sale price. 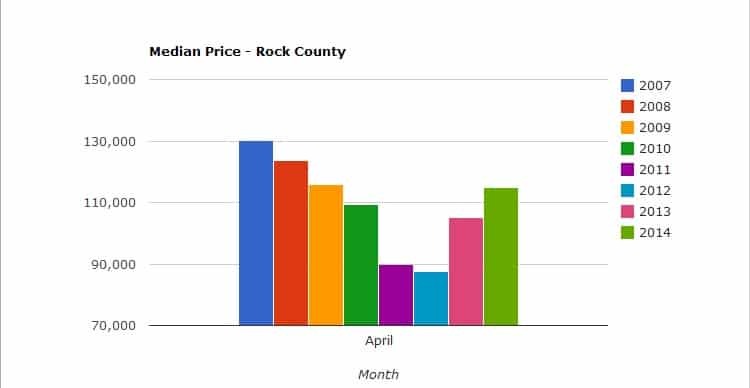 The average sales price of homes in Rock County in April 2014 was $131,000 compared to $109,000 in March. 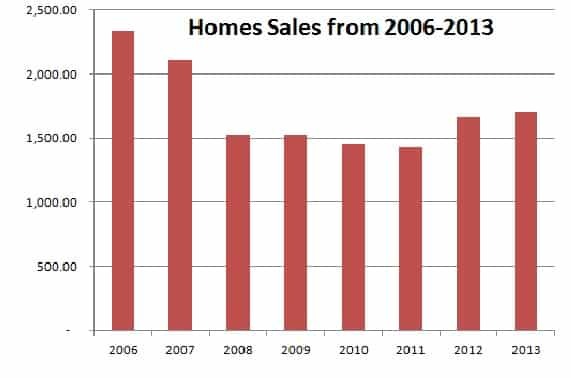 The average home sale price in Rock County has risen every year since 2011. Home prices and home sales in Rock County are on the rise again, but are not at the pre-recession levels yet. It make take a few years to return to that type of market, but it seems we are heading in the right direction. With the market being much stronger now than it was in the years past, call Best Realty of Edgerton today at (608) 884-8468 if you are looking to see what your home is worth or to inquire about purchasing a home!